Dr. Fathi received her B.S. degrees from UC Irvine in Biology and Spanish Literature in 1992. She attended University of the Pacific School of Dentistry for her DDS degree and University of Southern California Postgraduate Program in Endodontics for her specialty certificate in Endodontics. Dr. Fathi has been an Assistant Professor in the Department of Endodontics at the Pacific School of Dentistry in San Francisco since 1998. Dr. Fathi is a member of the American Dental Association, American Association of Endodontists, California Dental Association (CDA), and Santa Clara County Dental Society. Dr. Fathi's currently a Trustee for the California Dental Association and serves as a Director on the Board of American Association of Endodontists. 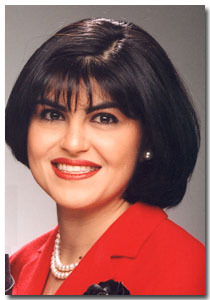 She is past president of the Santa Clara County Dental Society, the California State Academy of Endodontists, and the Pacific School of Dentistry's Alumni Association. She enjoys being mom to her twin boys, classical music, arranging flowers, and watching movies. Audrey Villareal was born and raised in Gilroy, Ca. 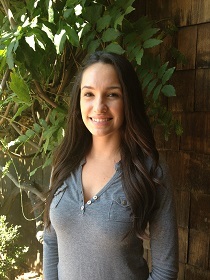 Audrey has been in the dental field since 2011. She enjoys managing the front desk in our endodontic office and working with our team to create a positive and comfortable experience for our patients. Audrey enjoys cooking, going to the movies, having fun outdoors and traveling in her spare time.